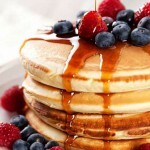 Start your day on a sweet note and try our easy pancake recipe. Everyone will keep asking you for more! 1. Add the milk, eggs, salt and sugar to a blender. 2. Mix until well combined. Add the flour and mix again. 3. Heat a non-stick pan over medium heat and spray with cooking butter. 4. 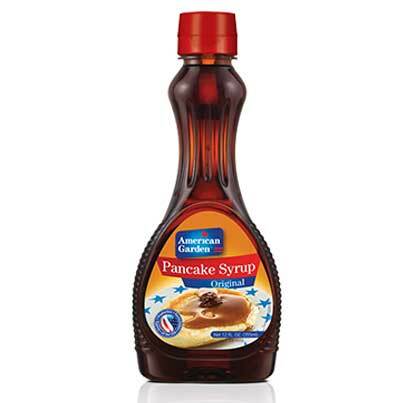 Pour ¼ cup of the pancake mixture and wait until bubbles form at the surface. 5. Flip the pancake over and cook for 2 minutes then transfer to a serving plate. 6. Repeat the steps until the pancake mixture is over. 7. Garnish with berries then drizzle with pancake syrup.